I have always loved collecting beautiful objects and infusing them with special meaning. Long before I knew I was a shamanic being, as a child I had a crocheted draw-string bag (remember those from the 70’s?) that held all of my special amulets and trinkets. Of course, they were just rocks, sticks, costume jewelry, dried flowers, bits of this and pieces of that. But to me they had magical powers. My favorite fantasy was about a particular ring. The “stone” was yellow, probably glass or acrylic, and there was an interesting pattern on the bottom where the adhesive dried when it was glued to the mounting. This design, I fantasized, was actually a map of my home planet. It was an island in the middle of an ocean, and this special ring of power kept me connected to my true birthplace. Fast forward a few decades to when I was introduced to the Pachakuti Mesa Tradition. The use of sacred, sentient objects recalled ancient memories and childhood fancy simultaneously. 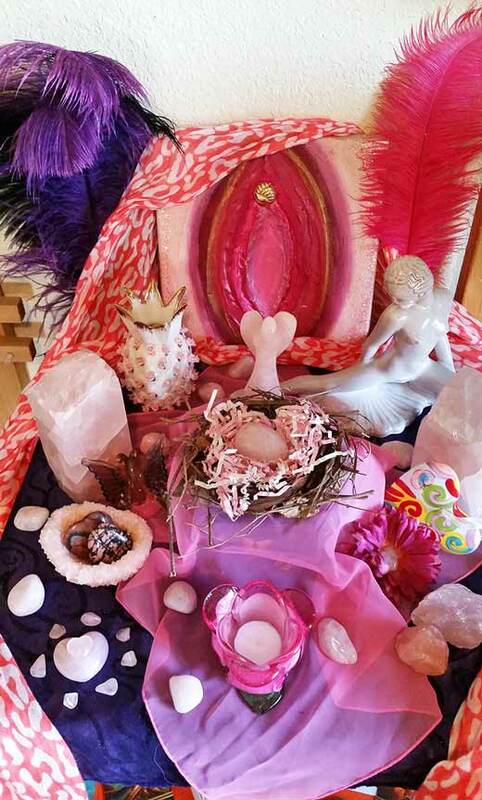 I mean, just look at all of the exquisite sculptures, gorgeous crystals and stones, stunning feathers, unique craftwork, and multitudes of magical objects. Aside from the functionality, a mesa is sheer art to me! 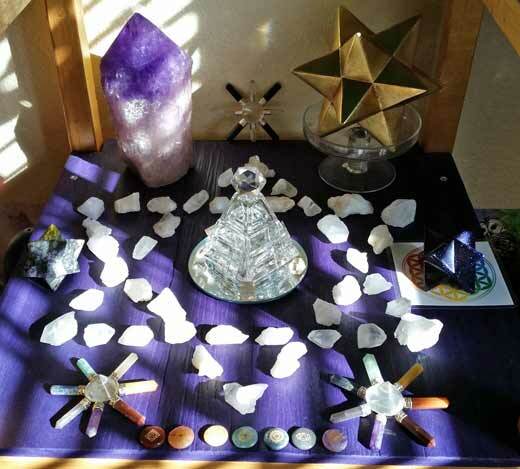 I love being in circle where mesas are present so I can revel in the unique reflection of each participant in the arrangement of their personal sacred items. Yet, it took a few years of working with the mesa to finally articulate what I instinctively knew about the power of these medicine pieces, or artes. Intangible, non-physical concepts are difficult to grasp. They are elusive by nature because we cannot see, feel, touch or hear them. In the developmental stages of a child, it isn’t until roughly age seven that children begin to grasp symbolic or conceptual thinking (such as being able to draw a map of her walking route to school), or abstractions, such as time (like how many months until his birthday). Subtle energies require the presence of a more sophisticated perception and understanding if we are to work with them consciously. If the mesa is a physical representation of us, then each sacred item on the mesa is an individual aspect of us. Each medicine piece holds a specific field of intelligence. Ultimately, an arte is the embodiment of a particular energy, whether that be a guide, virtue, intention, aspect of self, or totem animal, for example. Physical representations, in the form of these medicine pieces, help us order the conceptual in our mind and give body-felt, kinesthetic connection to the archetypal and symbolic realms. To the uninitiated, it might look like we’re a bunch of idol worshippers. But here’s the crux of it for me: We aren’t giving our power away to the objects. We aren’t projecting authority onto them. And we aren’t denying Creator. (I don’t believe in a jealous God in the first place.) We don’t look to the energies they embody in place of Creator. We recognize that all of it is part of creation to begin with! Artes are representations of what is meaningful to us as well as the greater unseen forces we know exist in our cosmos. We engage and commune with these objects because it gives us the physical sensation and connection our bodies crave. Through them we cultivate the ability to connect at a deeper, sharper, and more distinct level with the subtle realms, abstract concepts, and multiple dimensions we traverse in our daily shamanic lives. The ability to appreciate, interact with, and communicate with the physical world – as a physical being – is a gift. 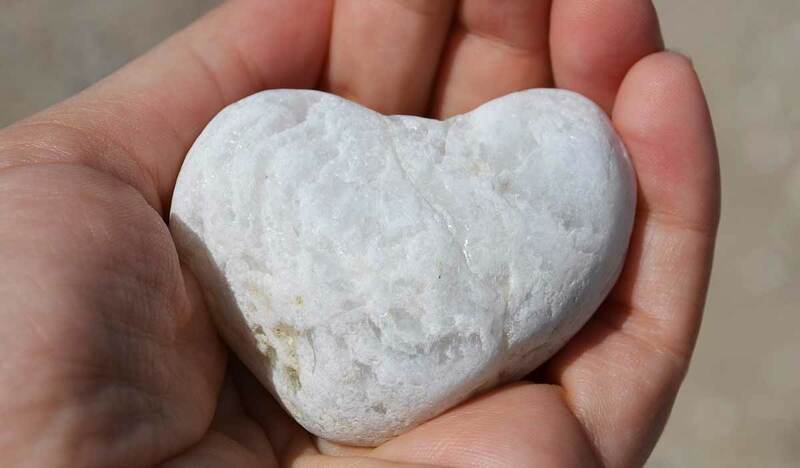 When we hold our Pachamama stone in our hands and connect to our grounding, to the Earth Mother, to our physicality, we are not eschewing Creator, we are embracing her! Holding something physical makes the experience more real, so we can template those energetic signatures into our bodies and develop a stronger, more tangible relationship. In addition, when we imbue these sacred objects with meaning, we are infusing them with life force, and, over time, they develop their own character and personality. Have you ever had an arte just disappear? Fall over? Move positions? Call out to you? They communicate with us! And just like a human, dog, or any other living being, the more time we spend with them, the more we get to know one another. The more we develop our relationship with our medicine pieces, the more they mean, and the more clearly we can perceive what they are trying to communicate. In this way, our artes take on a life of their own. Through these physical representations, not only do we deepen our understanding of the subtle and non-physical realms, we deepen our understanding of ourselves. Because what are these magical items, really, except reflections of us? These sacred talismans communicate with us constantly. They will alert us when they have completed their contract and are ready to move on. They will let us know if they want to be cleansed or charged. Sometimes they want us to take them places. Other times they want to be reconfigured on our mesa. I have noticed that just about every time I go through a period of massive and rapid transformation, I have to rearrange my mesa so that the vibration my mesa holds is in harmony with my new frequency. I find also that using physical representations for non-physical acts – such as intentions, prayers, or release work – helps anchor the event more solidly in the physical realm. 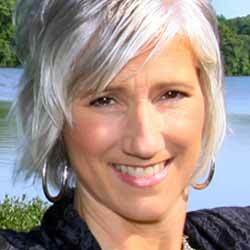 On a cellular level, it gives the body a clear demarcation point in time to anchor the change. For example, when engaging in a boundary drawing ceremony, an intention is made more concrete and definitive when we take a sword or staff and actually draw a line. 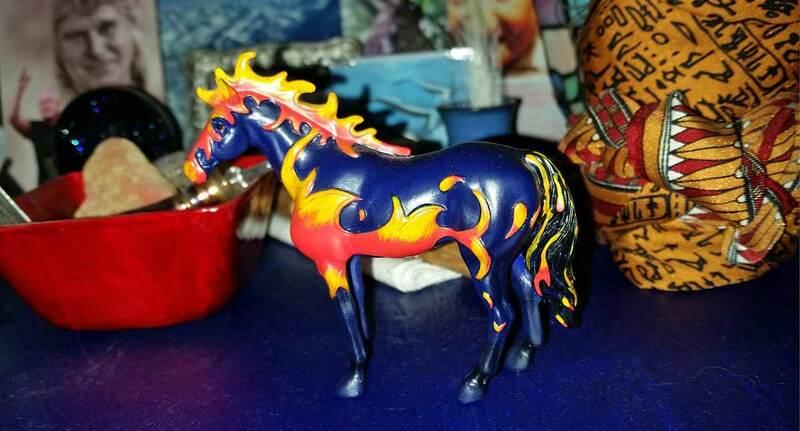 If there is something I am calling to myself, such as a horse (which I am currently), it helps me to have a horse figurine on my mesa so I can look at it and connect with my vision. I find ceremony to be one of the most powerful ways to enact in the physical what is happening on the etheric plane. So, love your artes! Play, laugh and travel with them. Listen to them. Conduct ceremony with them. Even if they do nothing but sit on your mesa, they are still communicating, still reflecting you, and still in relationship with you. How do you want that relationship to evolve?